in diesem Affinity Photo Tutorial zeige ich wie man den Pop Art Effekt erstellt. Er wurde in den 60ern von Andy Warhol erfunden und damals analog durch Entwicklung und Druckprozessen erstellt. Es gab ja kein Photoshop. Heute zeige ich wie man es mit der Software machen kann. Es gibt viele Gestaltungsvarianten, ganz nach Geschmack. 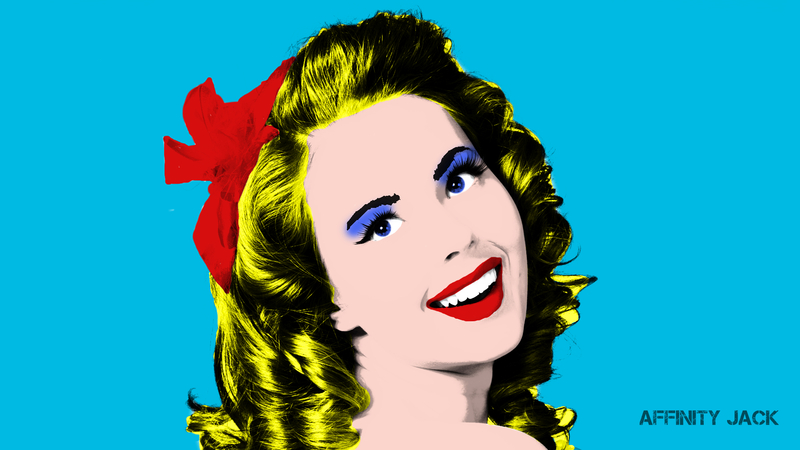 In this Affinity Photo Tutorial, I show you how to create the Pop Art Effect. It was an invention of Andy Warhol who created this with analog techniques like development and print processing, because there was no Photoshop. Today I show how to create this effect with software. There are many variations, like you want. I´d suggest to put all the color layers in a group and set the group to a blend mode. that way you can use a separate layer for each color which makes adjustments/ refinements easier. I´d then use solid fill layers and put a layer mask on each of them so that I can easily change the color and make precise adjustments with white/ grey/ black brushes. This would also give better results at the borders. And you could also use the "noise reduction" filter to eliminate (fine) texture or when you're really passionate about the picture the healing brush (non destructively on a new layer). Yes I was thinking about separate color layers (I did this for the thumb to refine the hair color :rolleyes: ). For the tutorial I was looking for a fast way. But new for me is the noise reduction. I was also searching for pattern for a comic style, but I was disapointed, because it doesn't exist. Cloning is another great idea. For the hair. In my opinion, the hair has still too much texture. I was just using the noise reduction for this photo which I was doing to see how the 1.4.1 beta 4 worked. (right left for comparison) and thought this effect would work with your photo as well. BTW: Is it possible to select custom colors for the posterization effect? I´d think this would work somehow like "dither to custom palette" but I don´t think this is currently available in the pixel persona?